Eagle Pavilion, the four-season shelter at Rotary Lake in Fryer Park, is available to reserve for dates one calendar year from the intended reservation date. The interior of the facility includes a large open area, men’s and women’s restrooms, and a warming kitchen with a double sink, microwave, coffeemaker and a refrigerator with a freezer. Outdoor space includes a patio overlooking the pond and a terrace. A storage area holds additional tables and chairs. Reservations can be made up to 365 days previous to the date of the event. Reservations are limited to Grove City residents age 21 or older, this includes those living within the corporation limits of Grove City and unincorporated Jackson Township as well as those working in Grove City per eligibility outlined in the Fair Share Policy. Proof of residency is required at the time the reservation is scheduled. Reservations are offered on a first-come basis and may be reserved in any or all of three time slots: 8 a.m.-noon, 1 to 5 p.m. and 6-10 p.m. 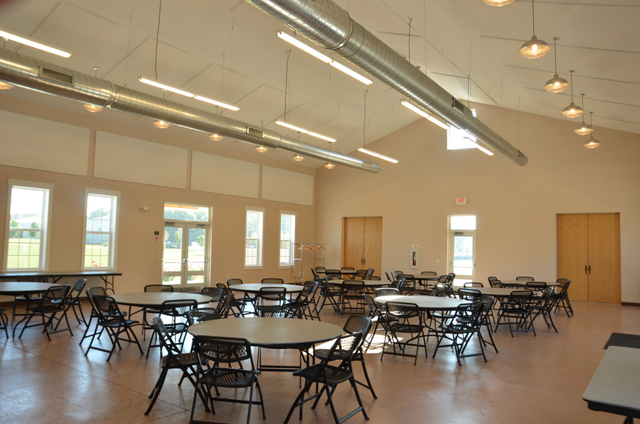 The cost to rent Eagle Pavilion is $200 per time slot with a maximum of $550 per day plus a $150 refundable damage deposit. The reservation is not final until all fees are paid in full and the renter agreement application is complete, including signed acknowledgement of the list of rental responsibilities. Please read all four pages carefully. Upon approval, a copy of the signed reservation form and a receipt are returned to applicant as confirmation. The application packet includes the rental form and list of responsibilities, detailed policy information and tips for a successful event with a schematic of the facility. 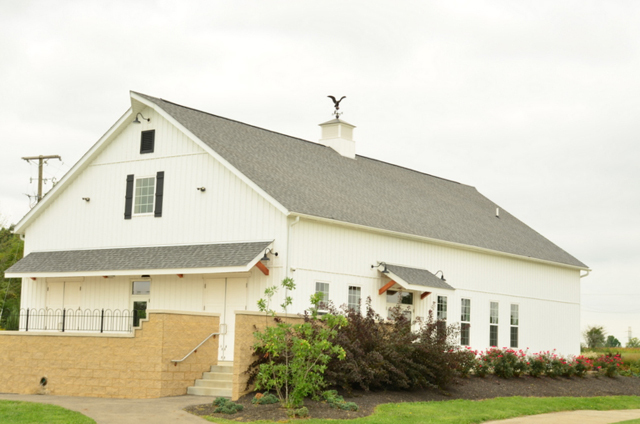 Each individual or group renting Eagle Pavilion should be mindful that the end of the rental period is the deadline for the facility to be cleaned up and vacated. Please allow yourself ample time to complete your rental responsibilities before this time. Renters are allowed a 15-minute grace period after the end of their rental period before they are assessed a $50 fee for each 15-minute increment they have failed to complete their responsibilities; i.e. a renter who reserves the space from 1 to 5 p.m. who leaves at 5:16 p.m. loses $50 from his deposit; if he leaves at 5:31 p.m., $100 is taken from the deposit. Windsor and Gantz parks feature shelters large enough for family and company gatherings. 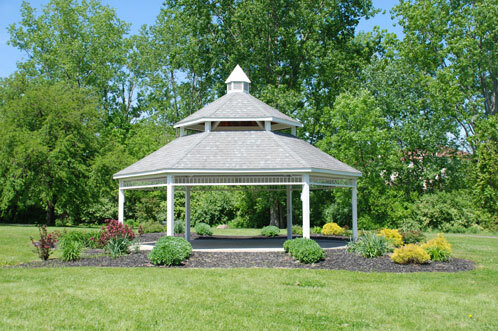 Windsor Park has two large shelter houses (approximately 1,500 square feet) and Gantz Park has a gazebo (500 square feet), one large (1,800 square feet) and one small (850 square feet) shelter house available for rent. 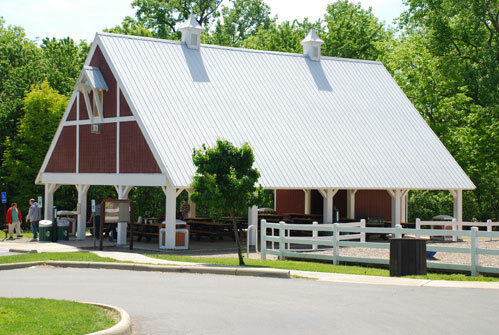 Shelters are available to the public year-round, dawn to dusk, and are open to use if not already reserved. Check the reservation sheets mounted on the shelters for reservation availability. All other shelters including the small shelter at Windsor Park cannot be reserved and are accessible on a first-come basis. Please review the Shelter House Policies and Procedures for details. 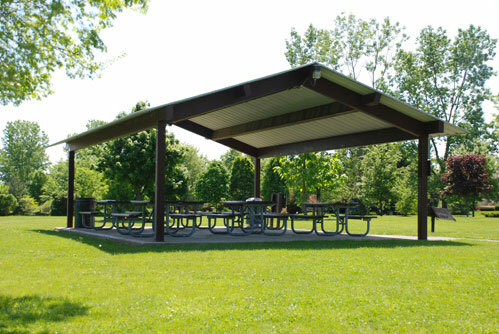 Please note: due to construction at Gantz Park, the large shelter is not available for reservation before July 1, 2019. Reservations are offered on a first-come basis and may be reserved in either or both of two time slots: 11 a.m.-3 p.m. and 4-8 p.m. 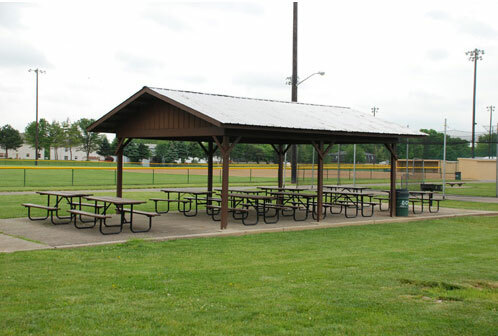 The cost to rent the Gantz Park large shelter is $55 per time slot ($70 for non-residents); full-day rental fee is $95 ($125 for non-residents). All other shelters or gazebos are $45 per time slot ($60 for nonresidents) or $75 for a full-day rental ($105 non-residents). A $25 refundable deposit is required to turn on the shelter’s electricity. All fees must be paid at the time of reservation. Fees are subject to change. Renters agree to all policies and procedures related to the shelter houses. Refund policy: In the event of a cancellation, a refund is issued upon written request made more than 30 days before the reserved date. Requests for refund made within 30 days of the reserved date will not be honored. Weddings in the Gardens at Gantz are by special permission only. 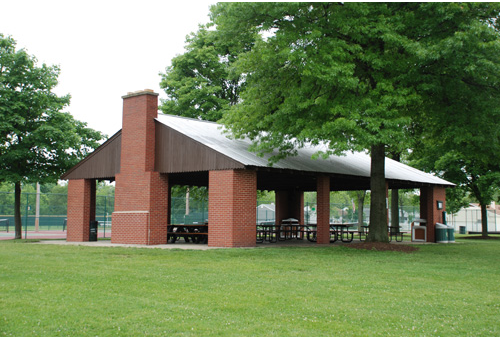 To reserve a shelter or gazebo, call the Parks and Recreation Department at 614-277-3050. Information on reserving baseball and softball fields is available in the Youth Sports Section.